Are you looking for a company that offers a sense of achievement, as well as unbelievable hours and an out of this world commission structure? If so, then you have come to the right place! 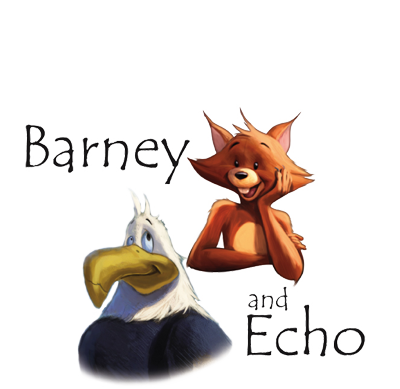 We are looking for Local Schools Coordinators to help build the Barney and Echo Brand and take us to the next level. This is a business to business telephone sales role, however previous sales experience is not essential. We offer a four week training programme, one to one advice and commission from day one! The role is Monday to Friday 9am to 5pm, with 2 x 15 minute breaks and an hour for lunch. In return we offer a good basic salary with bonuses and commission on top. The person - You will need to be self motivated, determined and focussed. We are looking for like minded results driven candidates to join our growing teams. Stuart - From a background of bookmakers, Stu joined us with no sales experience what so ever. He had previously been an area manager looking after 24 bookmakers across the North West. As a senior manager with over 120 staff he was ready for a change of direction. He applied for a position as a Local Schools Coordinator and we fell for Stu as much as he fell for us! Now in his fourth year with us, he has never looked back! Stu is definately the Joker of the bunch, usually telling visitors that he's the cleaner! He loves the fact that as well as the earning potential, he has a positive impact on children and their future. He Said "its great fun working here and making a difference to childrens education and of course earning loads of money at the same time. The hours are amazing and the people are fantastic, its a relaxed atmosphere and I love coming to work". John - The newest member of the team and an ex professional Ice Hockey player. From the North East, John found love in Chester and made his move. He never thought that he would become so successful so quickly, he tell's us daily how much he loves his job and he's sorry he didn't apply to us sooner. Definitely the loudest of the bunch, John's enthusiasm and positivity radiates through the entire building. He said " I love it, i look forward to coming to work in the morning, the people are incredible, even though its a sales job I never feel under pressure. Everyone is cool and I enjoy every second of being at work". Rebecca - Bex as she prefers to be known was a keen traveller. Having experienced the delights of Australia she joined us as a temporary member of staff. Unhappy to let her leave when the temporary role came to an end we offered her a sales role and she is now a permanent local schools coordinator. Bex is known for her famous one liners and not quite getting jokes until an hour later! Determined, hardworking and extremely positive, Bex always has a smile on her face and doesn't let anything dampen her day. Like John and Stu, Bex loves the challenge of the role and making a difference. She said " I have worked for a large bank where you are just a number, here I have never felt anything but essential and a huge part of the team. I love the people I work with (even Stu!!) and I look forward to getting out of bed and coming to work. Not many people have that and I know how fortunate I am". Dave - As a Former high school teacher Dave has used the communication skills and authority learned in front of the white board over the years to gain support for the educational resources from businesses across the country. Over the past 12 years that Dave has been with our company has moved departments and lead new teams. Hardworking and driven, Dave couldn't imagine working anywhere else. He said "The thing with this job, is if you work hard you are rewarded. Simple as that. The hours are amazing for a sales role and you get to work with really nice people". Shelby - From a background in retail sales, Shelby had never really picked up a phone before starting with us. Daunted by the prospect of changing what she was used to, Shelby bit the bullet and has never looked back. A big personality and a permanent smile on her face, Shelby is always gregarious and full of life. At just 24, Shelby said she can never see herself working anywhere else! She said " I love it here, I was a bit intimidated about doing telephone sales before I took the job, but now I realise it was the best decision I could ever have made".